Analog Devices Building, University of Limerick. This will be an opportunity for researchers (primarily postgraduate and postdoctoral) in the area of applied or industrial mathematics to share their work in a one day formal conference environment. 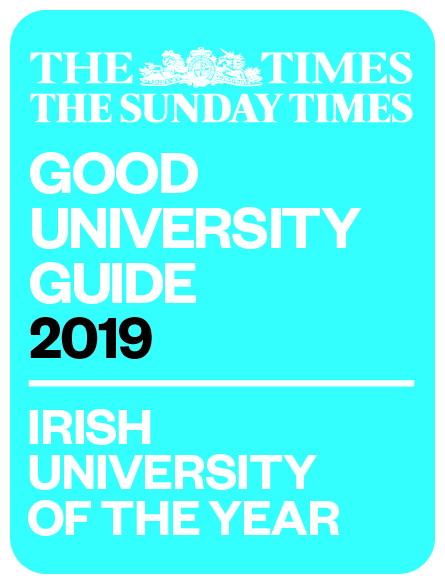 This will hopefully encourage collaboration between Irish students from various Irish academic organisations. This will be a free event with coffee and lunch provided. Participants are welcome to present their work in talk or poster form, and we ask you to register here, and if submitting a talk please e-mail a brief abstract in pdf form giving a brief outline of your research to siamsc.ul@gmail.com. There will be a limited amount of spaces for contributed talks. The event is being run in conjunction with the MACSI 10 year celebrations on the 8th/9th December, and we would hope that many attendees would participate in both events. 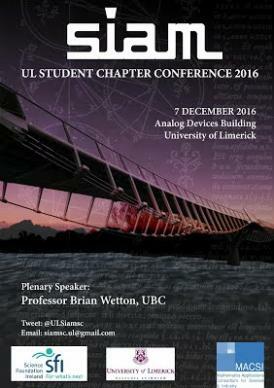 If you have any other questions please feel free to contact us at siamsc.ul@gmail.com or @ULSiamsc.